For over 180 years the Zoological Society London has played an essential role in convening experts to address challenging science and conservation issues, including hosting high-profile public meetings, symposia and national and international workshops. Throughout the world we work with governments, civil society and the private sector to conserve species and habitats. We contribute to building conservation capacity and skills in the UK and abroad through educational programmes, workshops and Masters and PhD courses and awards to support young conservationists. ZSL is not a lobby organization – we simply advise decision makers and are often called upon by business and government. We are scientific advisors to Globe International and produce reports for the UN and scientific conventions. We also work with major natural resource industries assisting in biodiversity monitoring and advising on best practices and protocols for certification including the Forest Stewardship Council and the Marine Stewardship Council. 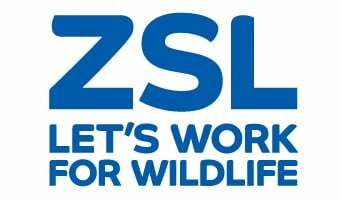 ZSL is a partner organisation of United for Wildlife (UfW), which was created by The Royal Foundation of the Duke and Duchess of Cambridge and Prince Harry in June 2014. Highlights ZSL’s major conservation achievements of 2016/17 as well as future plans.